Vintage Transformers G1 Skids Figure Parts! Photos included! Transformers Beast Wars Optimus Primal Parts! Photos included! 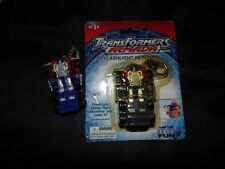 Transformers Armada Optimus Prime Parts! Photos included! Transformers Beast Wars Manterror Parts! Photos included! Transformers Beast Wars Icebird Parts! Photos included! Transformers Beast Machines Jetstorm Parts! Photos included! Transformers Beast Wars Razorclaw Parts! Photos included! Transformers Beast Wars Dinobot Transmetal Parts! Photos included! Transformers Beast Machines Supreme Class Cheetorl Parts! Photos included! Transformers Beast Wars Iguanus Parts! Photos included! Transformers Beast Wars Terrorsaur Parts! Photos included! Transformers Beast Wars Insecticon and Drill Bit Parts! Photos included! Transformers Beast Wars Transmetals Waspinator Parts! Photos included! Transformers Beast Wars Snarl Parts! Photos included! Transformers Beast Wars Jetstorm Parts! Photos included! Transformers Beast Wars Sky Shadow Parts! Photos included!